Enhance the look of your bathroom with the Mohawk Home Spa Contour Bath Rug. This rug features a plush nylon construction for extra comfort underfoot, and is available in a variety of colors to match your decor. Very nice. It doesn't fit perfectly around the toilet but doesn't matter, it's not noticeable. Very rich rust color, love it! Also got the runner- great set! We ordered a few of these Mohawk bath rugs for our master bath and we love them! So comfortable on our tile floors, well made and love the Pewter. Mohawk is a great brand. Highly recommend these rugs and toilet seat covers. I order this along with the Spa Bath Rug in Forest Green. The rugs are nice quality and wash really well. I will definitely reorder in other colors and the price is perfect. 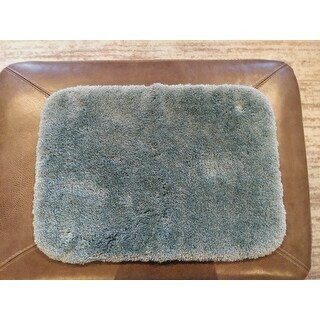 Soft and plush bath contour mat. I purchased this contour rug because the colors offered matched my bathroom. I purchased the "Iris" color and it is a deep lovely purple shade. It is soft to the touch and feels nice under your feet. It is well made and good quality. I have not washed this rug yet but I feel that it launder nicely. I am happy with this purchase. I find that Mohawk is a quality brand for rugs for the bath. 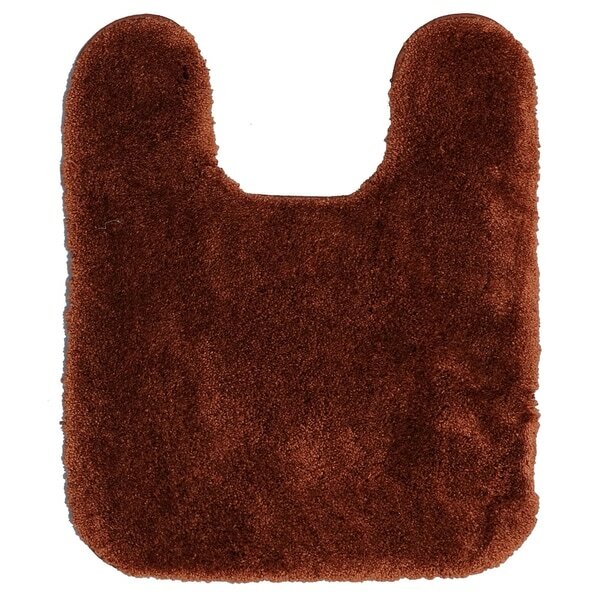 I ordered this contour bath rug to keep the cold floor separate from my bare feet. 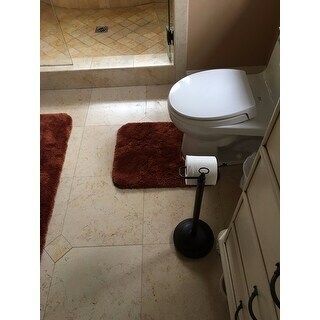 This turned out to be both smart and artistic because the thickness of the rug is sufficient to keep my feet warm and the wrap around the base of the toilet softens the very practical appearance of that part of the room. Well made, true to color perfect fit and non shedding! Exactly what I was looking for and exactly what I received! Highly recommend. I absolutely love these bath rugs. They are super soft and great quality. I would definitely recommend these bath rugs to anyone. Product is high quality and the color advertised is the perfect color! Very thick and high quality. Color was perfect. Looks great! "How large is the opening for the toilet?" It fits any standard toilet perfectly. 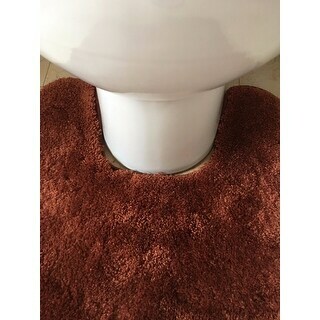 The opening of the rug at the front of the toilet is 7 inches and the opening of the rug toward the center of the toilet is 9 inches. "Is the "brick" color red or brown?"